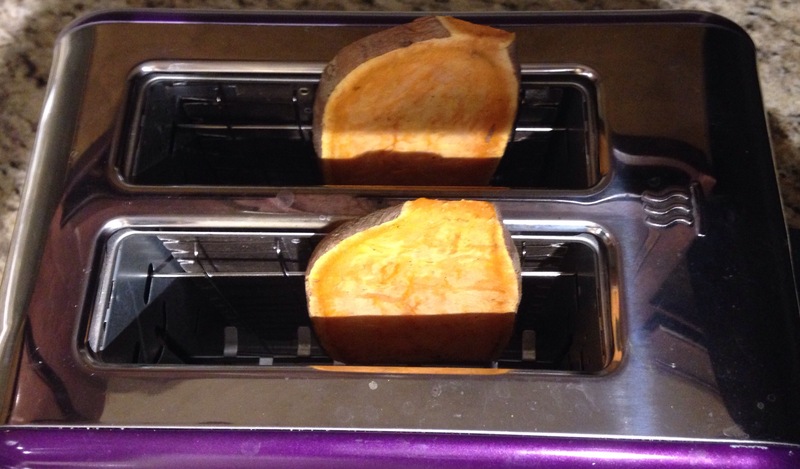 Breadless Toast: Madness, Genius or Just Plain Deliciousness? Today’s kitchen creation is being served with a confession on the side. I’m not a bread person. Did you even know that’s a thing? To not like bread? My secret shame. Nope, can’t even order avocado toast for Sunday Brunch despite my all-consuming avoddiction (P.S. that word DOES exist. Look it up). But *insert sigh of relief* order is now restored to the galaxy because I’ve discovered a breadless alternative—sweet potato toast. A.K.A. the latest foodie trend currently taking over my life. Forreal. And if plant-based + gluten-free + downright delectable sounds like the ultimate jam, then prepare for a takeover on your life too. 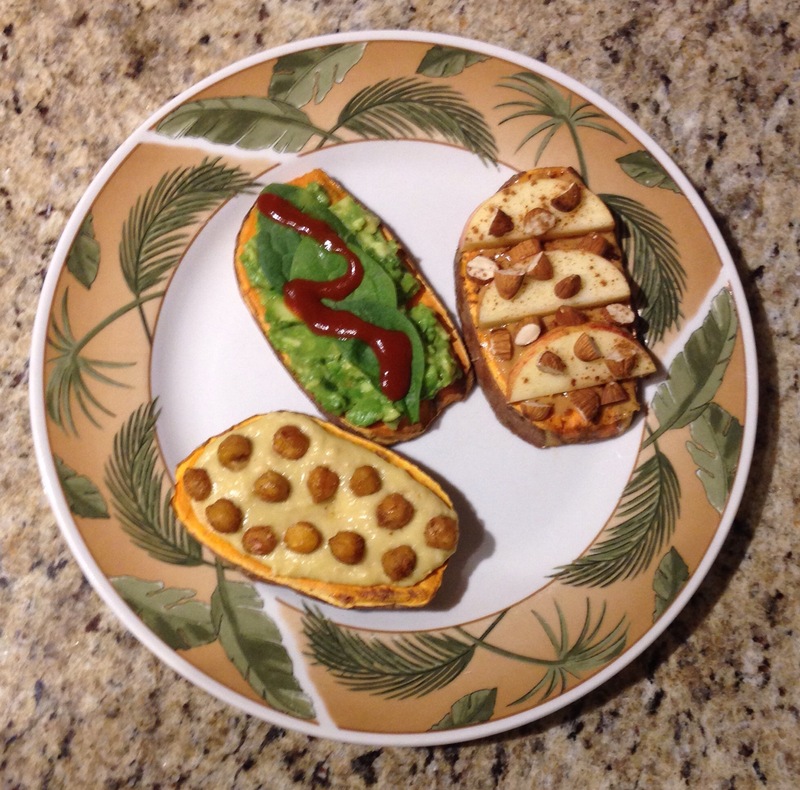 Just grab a sweet potato, then go culinary crazy with all the fixings. And here’s some inspo to get those creative juices (not to mention, appetite!) flowing. Cut the Potato into 3 slices about, 1/4-inch thick, leaving the skin on. Put each slice in a toaster and cook for 5 minutes, or until the texture becomes pliable but still firm. Drain and rinse the Chickpeas, then transfer 1/2 into a food processor. Add the Lemon and 1 tbsp. Olive Oil, then puree this mixture until a hummus consistency forms. Place the remaining Chickpeas on a foil-lined baking sheet and pre-heat the oven to 375 degrees. Drizzle them with 1 tbsp. Olive Oil, Cumin and Paprika, then cook in the oven for 10 minutes, or until the Chickpeas become crispy. Spread the hummus over the first Potato slice and top with the roasted Chickpeas to make savory toast. Chop the Almonds coarsely and slice the Apple, then spread Almond Butter over the second Potato slice. Top with the Apples, Almonds and Cinnamon to make sweet toast. Mash the Avocado until a guacamole consistency forms and spread over the third Potato slice. Top with the Spinach and Sea Salt, then drizzle on Sriracha to make spicy toast. Seriously…moment of silent introspection for these wondrous little tubers. Alright, moment over. Girl’s gotta eat! So, guess I’ve been feeling the Eastern vibes lately. Between last week’s Korean Boribap recipe and this week’s love letter to all things matcha, I should probably just book a flight to Asia. Donate to my travel fund, and I’ll get right on that! No takers? Shocking. Fine then…living vicariously through my taste buds isn’t the worst consolation prize. Lucky for this girl, my fiancé’s sister did go to Asia recently, and she brought me back some authentic ceremonial-grade Japanese matcha. Talk about earning brownie points with the future sis-in-law. Give me pretentious sounding superfoods, and I’m your friend for life. Well played, Kristin…well played. 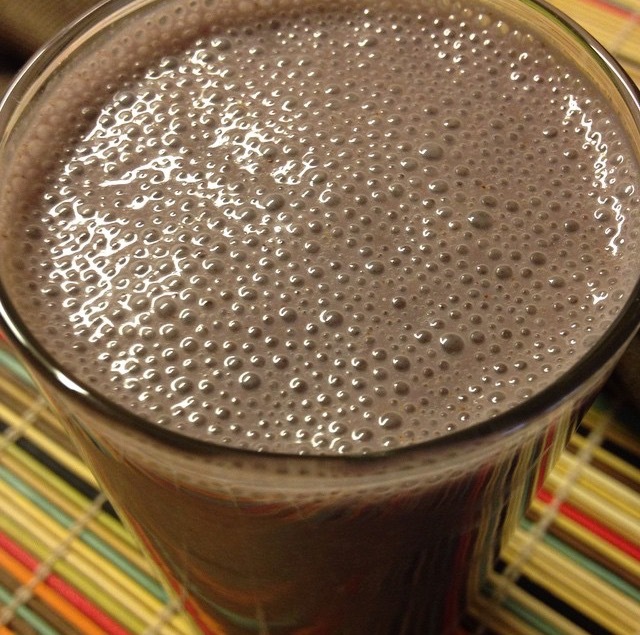 Yields more antioxidants than any other superfood including goji berries, acai, kale and spinach. Contains a powerful blend of essential nutrients like fiber, chlorophyll, zinc, magnesium, and Vitamin C.
Strengthens immune function, promotes anti-inflmmatory benefits and works like a natural detoxifier. Boosts the metabolism to burn calories more efficiently, and regulates healthy cholesterol levels. Reduces physical and mental stress, enhances concentration and balances fluctuating mood states. And breakfast will never be the same. Pour the Cashew Milk into a small saucepan and preheat the stovetop burner on a medium-high setting. Add the Oats and stir occasionally until the mixture begins to boil, then reduce to a simmer and continue stirring until the texture thickens. Remove the saucepan from the stove, add the Matcha, Ginger and Stevia, then stir to combine. Pour the Cashew Milk and Spelt Flour into a mixing bowl, then stir vigorously until no lumps remain. Add the Blueberries, Matcha and Stevia into this batter, then stir again to combine. Preheat the stovetop burner on a medium-high setting, place a griddle on this burner and coat with non-stick cooking spray. Ladle the batter in small batches onto the griddle, allow to cook about 2 minutes on each side, then transfer the pancakes to a serving plate once they’re done. 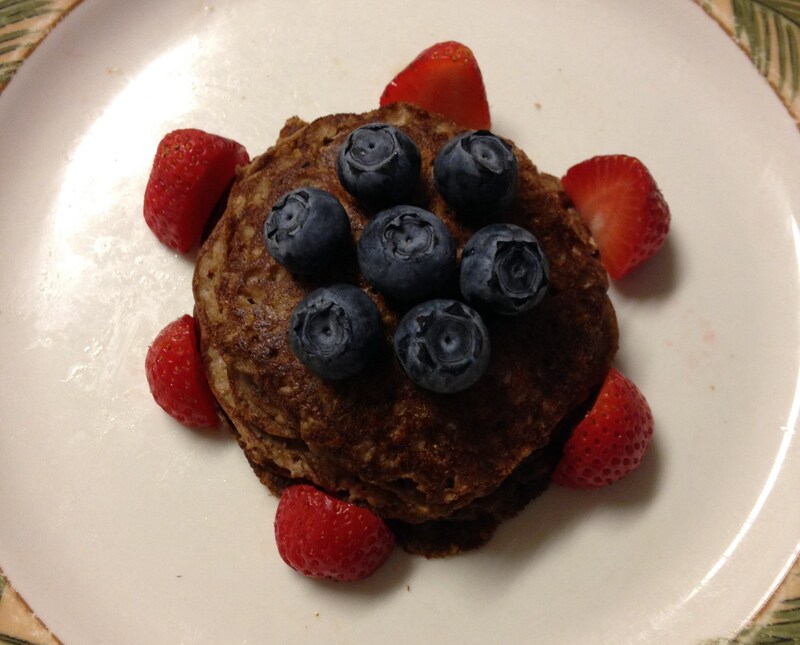 Spread the Almond Butter over the pancake stack and garnish with leftover blueberries, if desired. Reader Poll (just because I’m curious): Do you cook with matcha, or are you a purist who thinks tea is for drinking, thankyouverymuch? Turmeric. It’s basically the kale of 2016. This close relative of the ginger root has been initiated into the “superfood” clique—sorry, avocado…we had a vote—and everyone, from Ayurvedic healers to that cashier at Whole Foods, now swears by its anti-inflammatory benefits. But turns out, turmeric is worth the hype. Containing high levels of antioxidants—more specifically, curcumin—this exotic orange-yellow-ish powder has been found to protect against cancer, stroke, arthritis, liver disease and even Alzheimer’s. If you’re like me though, you’ve got this internal dialogue playing on-loop right about now: Ummm…medicinal properties are cool, but how am I supposed to actually use this stuff? Well, aside from being a wellness wonder, turmeric also earns versatility points. Consider it your spice rack’s answer to coconut oil. Douse a toothbrush in water then dip the bristles in 1/8 teaspoon turmeric. Scrub your teeth with the turmeric and leave on for 5 minutes. Rinse your mouth then brush again with regular toothpaste. Whisk 1/2 teaspoon turmeric with 1 tablespoon coconut oil until both ingredients are combined. Massage this mixture into your scalp and leave on for 15 minutes. Rinse your hair then shampoo normally. Mix 1/4 teaspoon turmeric, 1/2 tablespoon honey and 1 tablespoon water until these ingredients form a paste. Spread this mask across your face—paying close attention to acne-prone areas—then leave on for 15 minutes. Rinse your skin with cold water. Combine 2 tablespoons turmeric, 1 tablespoon lime juice and 1/4 teaspoon water until these ingredients form a poultice. Apply this mixture directly onto the injured body part then wrap in a cloth bandage. Leave on for 20 minutes, at minimum. Include a few dashes of turmeric in your favorite beverage concoctions, along with other superfood enhancements like chia seeds, hemp hearts, cacao nibs or spirulina. Add 1 teaspoon turmeric to 1 cup boiling water then simmer for 10 minutes. Strain any leftover turmeric grounds from the water then stir in ginger or honey, to taste. Mix together 1 teaspoon turmeric and 1/4 cup water on low heat until both ingredients form a paste. Add 1 cup unsweetened almond milk and cook over medium heat for 5 minutes. Stir in 1 teaspoon coconut oil or ghee, and 1/2 teaspoon cinnamon. Whisk 1/4 teaspoon turmeric with 1 tablespoon olive oil, 1/2 tablespoon whole grain Dijon mustard and 2 teaspoons lemon juice. Pour this mixture over fresh veggies and use salad tongs to distribute the liquid evenly. Infuse 1 teaspoon turmeric into a healthy homemade stock—like this recipe from Wellness Mama—for extra flavor, zest and color. Sprinkle a few dashes of turmeric over scrambled eggs, oatmeal, avocado toast, plain Greek yogurt or sliced apples with almond butter. 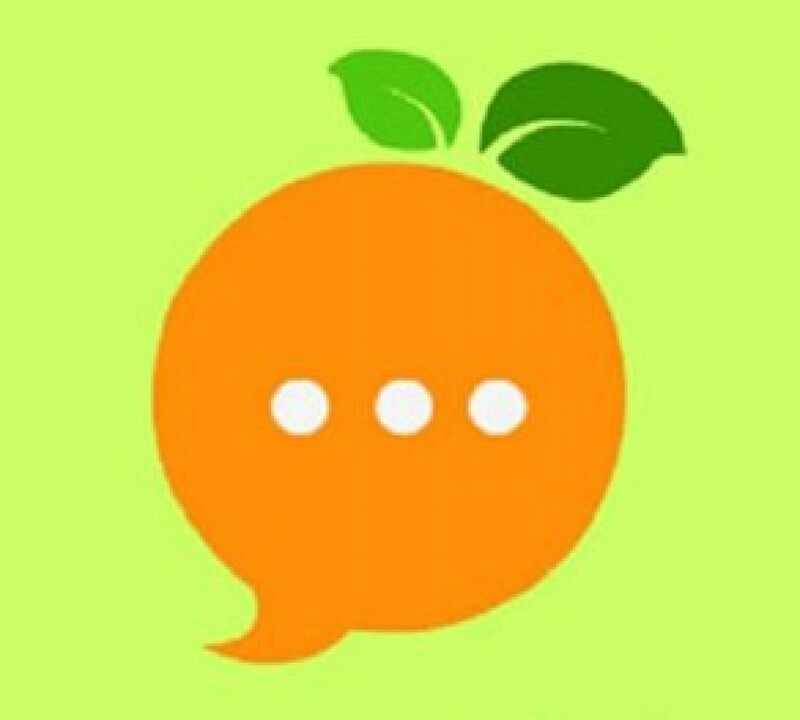 Deliciousness Happens When Superfoods Unite! 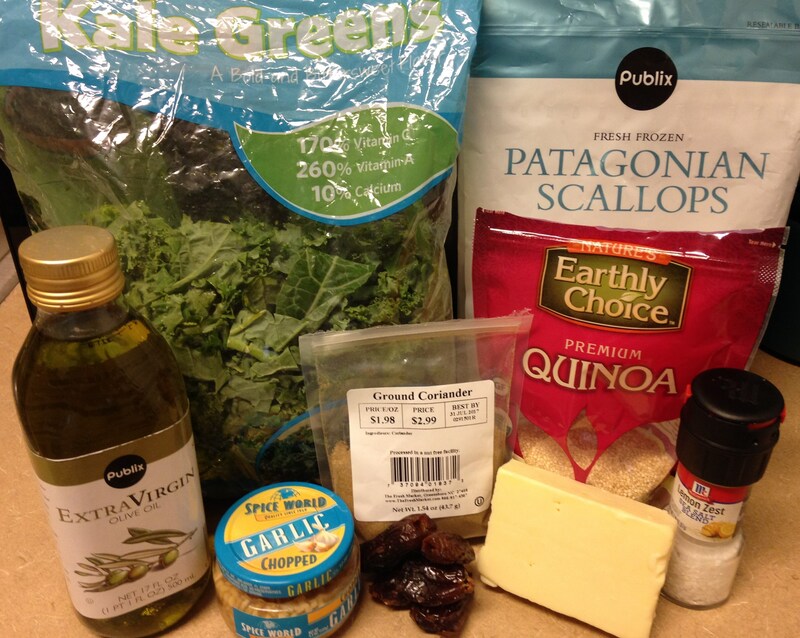 Yeppers, kale and quinoa come together for the win in my latest kitchen creation, packed with essentials like protein, whole grains, calcium and Vitamins A & C.
Tons of nutrients, exotic Mediterranean flavors, and a simple cooking process make this recipe an instant hit. So, you know, go ahead and sneak it into your “Speedy Weeknight Dinner” rotation (shhhh…the kids won’t even know they’re eating kale!). You’re welcome. Quick note for any vegans or vegetarians: this recipe includes scallops, which you’ll obviously need to omit when recreating in your own kitchen. *Looking for a dairy-free feta substitute? 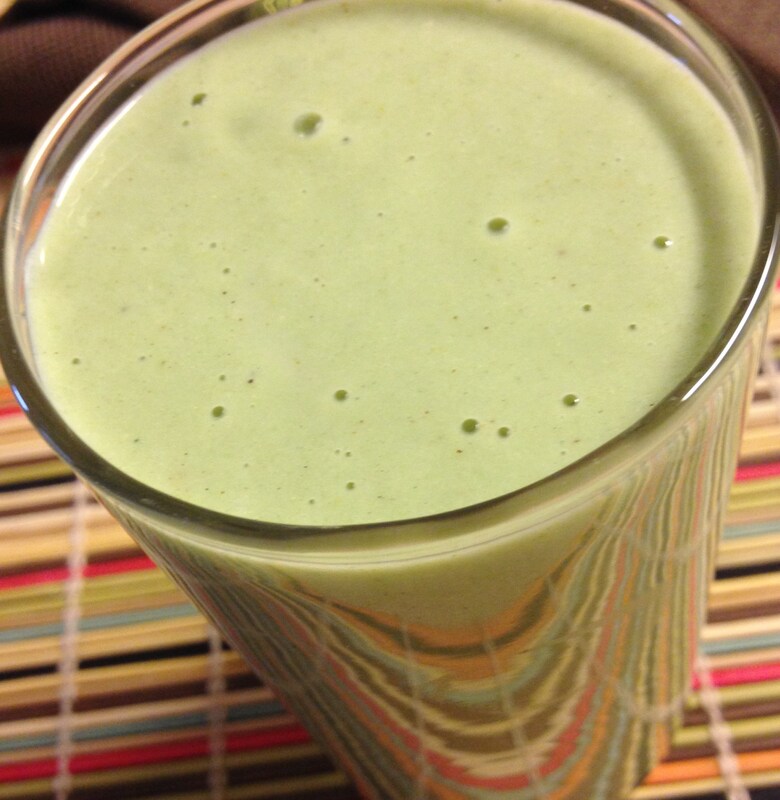 I’d recommend trying out this vegan recipe from The Happy Herbivore! 1. Fill a large pot with Quinoa and 2 cups Water, then pre-heat on a high stovetop setting and bring to a boil. 2. Reduce the heat to low, then cover the pot and let simmer for approx. 15 minutes or until the moisture has mostly been absorbed. 3. 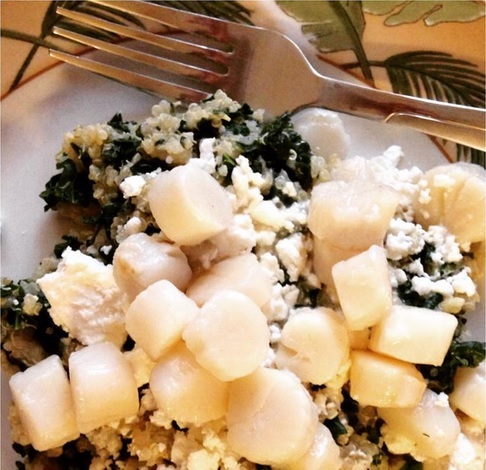 While the Quinoa is cooking, prep the Kale, Dates, Garlic and Feta (or dairy-free substitute), then set aside temporarily. 4. Coat a small saucepan with Cooking Spray and pre-heat on a medium stovetop setting, then add the Scallops. 5. Saute the Scallops for approx. 2-5 minutes, stirring occasionally, until they have cooked thoroughly. 6. Remove the Quinoa from heat and stir in the Coriander, Garlic and Olive Oil, then combine this Quinoa mixture with the Scallops. 7. 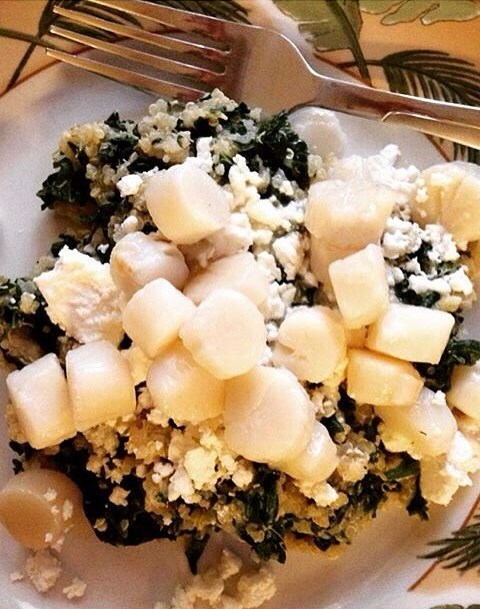 Arrange the Kale on a serving plate, then spoon the Quinoa and Scallops mixture over the Kale. 8. Sprinkle the Dates and Feta (or dairy-free substitute) on top, then add the desired amount of Sea Salt. 9. Allow this Salad to cool slightly (approx. 1-2 minutes) before serving. 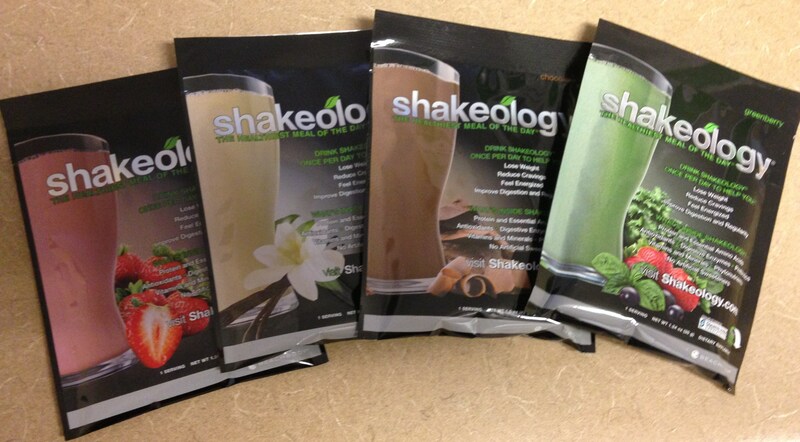 I initially heard about Shakeology 6 months ago. Those first 3 months were spent in a perpetual state of skepticism. The next 3 months were spent in limbo between piqued interest and hesitation to fork over cash for a product I wasn’t sure would deliver. Finally though, intrigue won out over financial responsibility, and 1 week later, my Super Sampler arrived in the mail. There I was — committed to trying this so-called “superfood supplement” I’d been resisting since December. No turning back now. The first sip told me everything I needed to know. My eating habits would never be the same. In those .5 seconds it took to gulp down that smoothie, I became a bona fide Shakeology believer. 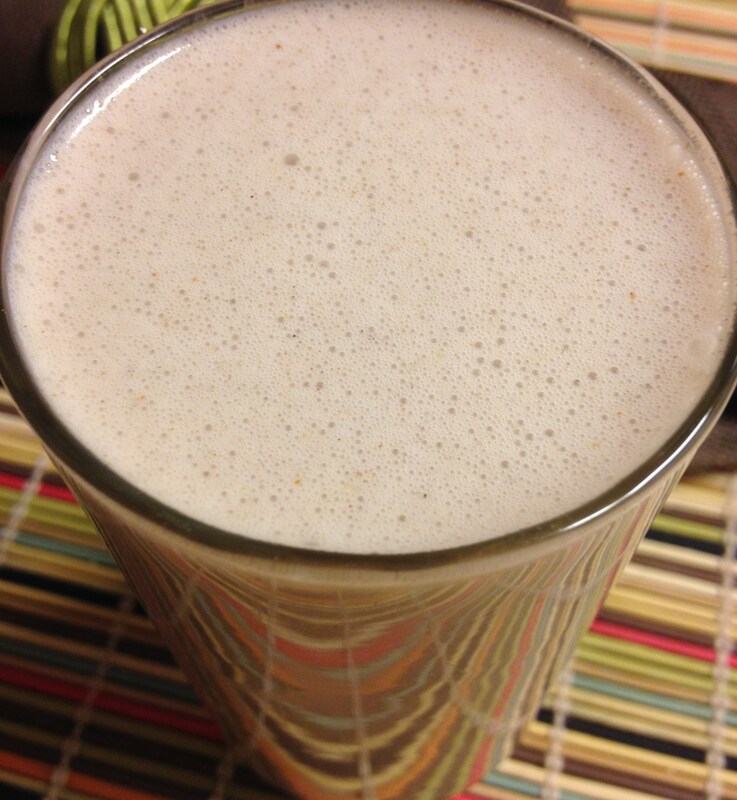 Since then, my mornings don’t even begin until this smoothie addict gets her Shakeology fix, which provides numerous essential nutrients in one wholesome, appetite-curbing (not to mention, ah-mazing!) meal. 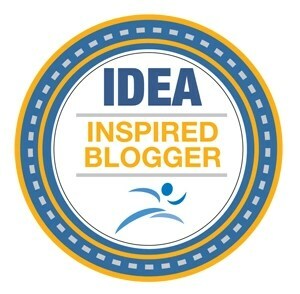 I’m not a paid distributor or Beachbody Coach. Nor is this a sponsored review that’ll earn me some sweet commission. Nope. I’m just personally attesting to the product’s incredible taste and positive results. What can I say? It’s L-O-V-E. Love. And logic. Because, damn, does this stuff work! 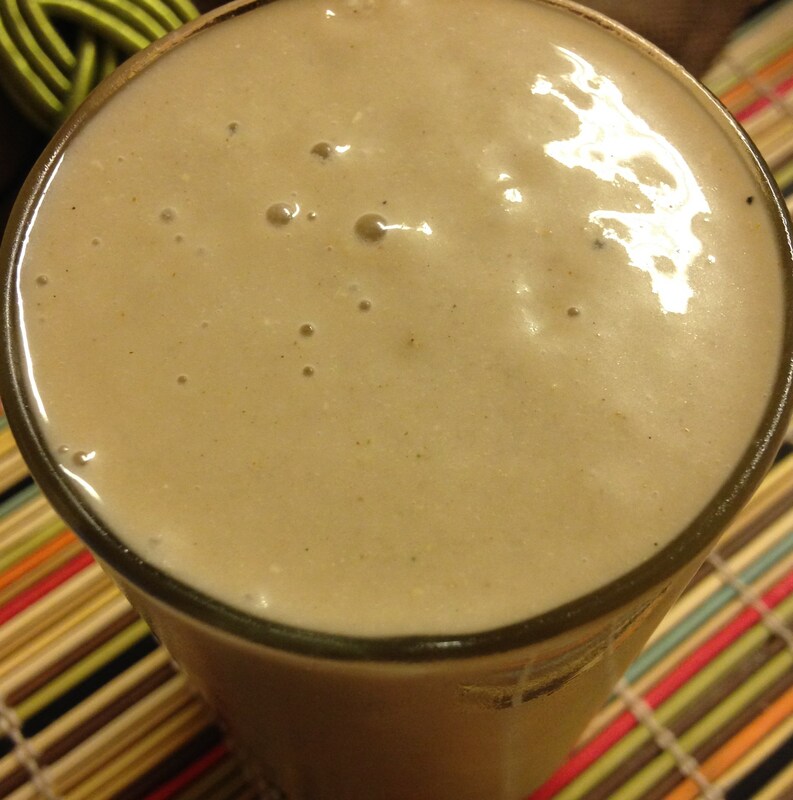 Shakeology turned my dubious trial run into a permanent lifestyle staple. That’s one “told ya so” this former skeptic will drink to anytime! But, for all you other skeptics still at-large: maybe these RECIPES will change your mind…Go ahead: the indulgence comes completely guilt-free! Combine these ingredients in a mixing bowl. Coat a skillet with cooking spray and pre-heat on a medium stovetop setting. Ladle the pancake batter onto the skillet in approximately 1/4 c. increments and cook about 3 minutes on each side. Top the pancakes with fresh fruit and nut butter. But — I digress — there’s more to this superfood than a slathering of lusciousness on top of your burrito bowl. The avocado is truly a nutritional powerhouse, which may just be the best news you’ve heard all day. Why? Because you can enjoy all that rich texture and flavor without questioning your life choices afterward. This wondrous fruit runs the full spectrum of health benefits, thanks to 15 grams of omega-3 fatty acids, 6 grams of protein, 7 grams of fiber, and a veritable pantheon of essential nutrients. 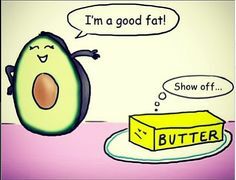 Sorry, butter. You should be so lucky to have these star ingredients on your nutrition label. So, seeking weight management without compromising taste? Grab an avocado! Dying for a Loreal spokesmodel-worthy mane? Yup. There’s an avocado for that! Or, how about a clear complexion? 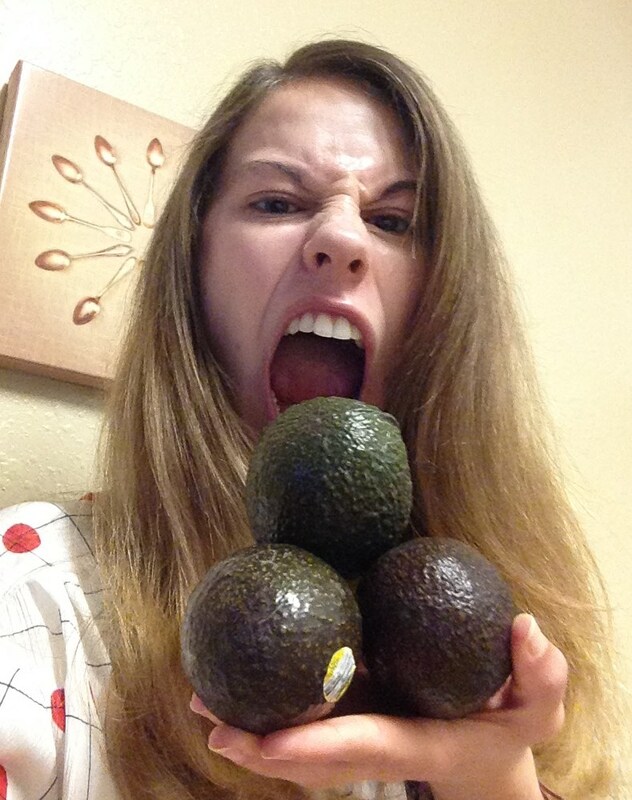 Yet again…avocado for the win! Now that’s one all-inclusive superfood, which is why I can’t resist sneaking avocados into practically everything I cook — from Asian to Mexican and even some Italian dishes. Versatility at its finest, folks! 1. Antioxidant carotenoid properties reduce fine lines, wrinkles, UV damage and other visible signs of aging, while improving skin’s overall firmness and elasticity. 2. Monounsaturated fatty acid properties improve cardiovascular health by lowering harmful cholesterol and blood sugar levels, which cause heart disease. 3. Slow-burning energy properties promote weight loss due to a high density of healthy fats, which satisfies hunger and provides the body with expendable fuel. 4. Numerous protein and vitamin properties stimulate hair growth, while adding noticeable shine to otherwise lackluster locks when used as a deep conditioner. 5. Anti-inflammatory properties decrease the risk of arthritis-related pain by alleviating joint irritation, while strengthening bone density with potassium. Oh, who are we kidding?! Of course, it is! In fact, I might just bite into one right now. Skin and all. Who’s judging? We’ve all been there. P.S. Got a favorite avocado recipe in your repertoire? Feel free to share in the comments below!